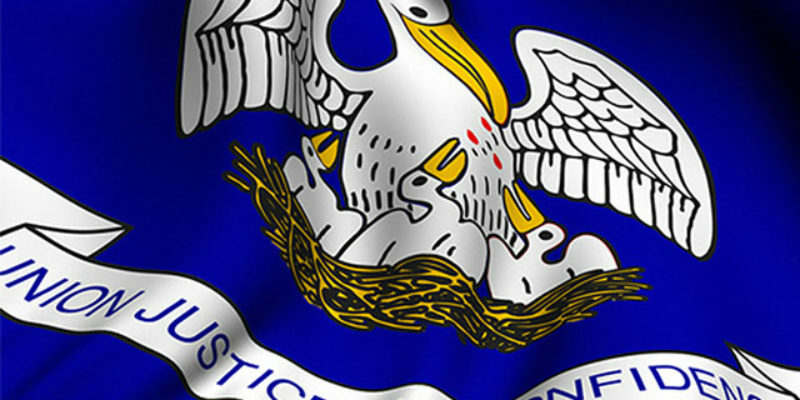 …perhaps that three members of the Louisiana legislature have filed qualifying papers for judgeships and if they win their seats will likely be up for special elections next spring. Specifically, Rep. Marcus Hunter (D-Monroe), Sen. Jonathan Perry (R-Kaplan) and Rep. Chris Hazel (R-Ball) are looking to join the judiciary – Perry for an appellate court position on the Third Circuit, and Hunter and Hazel as district judges. Perry is so far unopposed with qualifying still open today and tomorrow, while Hunter will be up against fellow Democrat Aisha Clark and Hazel faces Republican Charles Elliott. From a conservative standpoint, getting Hunter out of the legislature would be fantastic – though what it would mean is that getting sued in Monroe could become one of the most frightening prospects imaginable, and from an economic development standpoint Hunter on the judicial bench might well be something of a death knell for that city. Hazel’s 2017 LABI score was 56 percent, which isn’t a great number considering that his district voted 83 percent for Donald Trump and 84 percent for John Kennedy in the 2016 elections. One would suspect that district could produce a more reliable conservative to replace him. As for Perry, he’s been up and down as a member of the Senate. Perry’s LABI score in 2017 was 73 percent, but he was a 67 in 2016, an 85 in 2015 and a 65 for the cumulative 2012-15 term. Coming from a district that went 75 percent for Trump and 78 percent for Kennedy in 2016, it’s fair to suspect Perry’s replacement could be a more reliable conservative – and especially it’s fair to suspect that replacement won’t try to regulate the Cajun Navy, as Perry famously attempted to do in 2016. Meanwhile, there were no particularly unexpected developments in electoral qualifying yesterday. Following Wednesday’s developments there are just two hats in the ring for the Secretary of State position – Republican A.G. Crowe and Democrat Renee Fontenot Free. It’s expected that state representative Julie Stokes, a Republican, will join them today and the fourth expected candidate, Republican state representative Rick Edmonds, will come in on Friday. Beyond those four we don’t expect any major candidates in the race. In the congressional races, there were a few extra qualifiers beyond the time of our update yesterday. Tammy Savoie, a Democrat whose resume most notably contains the fact she is a psychologist with the Air Force, has joined Libertarian Howard Kearney and Democrat Jim Francis in the race against House Majority Whip Steve Scalise in the 1st District; none of them are likely to pose much of a challenge to the highly-popular Scalise, who hasn’t filed his qualifying papers but will do so today or tomorrow. The state’s sole Democrat congressman, Cedric Richmond of New Orleans, won’t be running unopposed. Three little-known challengers – Belden “Noonie Man” Batiste of New Orleans, Shawna Rodriguez of Baton Rouge and Jesse Schmidt of Gretna – have jumped into the race with Richmond. It’s fair to say none have a realistic chance of knocking out the chairman of the Congressional Black Caucus. In the 3rd District Republican incumbent Clay Higgins hasn’t qualified yet for re-election but will by the end of the day tomorrow. Three challengers have – Democrats Rob Anderson and Mimi Methvin and Republican Josh Guillory. Nobody has qualified in the 4th District, which incumbent Mike Johnson, a Republican, will remedy soon. Johnson has a reported challenger in environmental activist and Bernie Bro Ryan Trundle, but he hasn’t filed his papers yet either. In the 5th District incumbent Republican Ralph Abraham is reportedly going to be unopposed. So far that’s how it looks, as Abraham filed his qualifying papers and nobody has qualified against him. And in the 6th District Garret Graves hasn’t qualified yet but will; meanwhile he’ll have at least one opponent in Democrat Justin DeWitt, who qualified yesterday. There may be one or two more minor candidates entering the race. So far Supreme Court justices Greg Guidry and Jeff Hughes are unopposed, as is Public Service Commissioner Craig Greene. All three have already qualified. And in the state House of Representatives special elections two of the three races appear competitive. In District 90, which is new Slidell mayor Greg Cromer’s old seat, a pair of well-regarded Republicans in Brian Glorioso and John Raymond will fight it out for status as the favorite against Democrat Sean Morrison. The district went 70 percent for Trump and 76 percent for Kennedy in 2016. District 33, which is new Sulphur mayor Mike Danahay’s old seat and which voted 81 percent for Trump and 78 percent for Kennedy, looks like a three-way battle at this point between Sulphur city councilman Stuart Moss, a Republican, and Democrats Les Farnum – a Calcasieu Parish police juror known to be a conservative Democrat like Danahay was – and Teri Johnson, who heads the Calcasieu Federation of Teachers. If nobody else gets in this race is highly likely to go to Moss or Farnum, and from a conservative perspective we’re not quite sure yet which result is better. But so far in District 10 Wayne McMahen is running unopposed and as we’ve been told that’s not a good thing. This seat has had a Democrat filling it in Gene Reynolds but he left for a job running the state parks. When he did, Reynolds recruited McMahen, who recently switched parties to Republican after having been registered as a Democrat his entire adult life (McMahen’s father was the Democrat sheriff of Webster Parish from 1980-96) and has since endorsed him. McMahen has apparently also been recruited by a local road contractor to serve as an advocate for gas tax increases to fund highway construction; conservatives in Northwest Louisiana see this as a RINO in the works. But thus far, efforts to recruit a more reliable Republican candidate have yet to bear fruit. There are two days left for that effort.